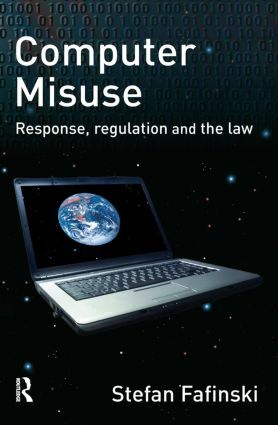 This book is concerned with the nature of computer misuse and the legal and extra-legal responses to it. It explores what is meant by the term 'computer misuse' and charts its emergence as a problem as well as its expansion in parallel with the continued progression in computing power, networking, reach and accessibility. In doing so, it surveys the attempts of the domestic criminal law to deal with some early manifestations of computer misuse and the consequent legislative passage of the Computer Misuse Act 1990. This book will be of interest to students of IT law as well as to sociologists and criminologists, and those who have a professional concern with preventing computer misuse and fraud.